Expert care, friendly service, unbeatable prices. Schedule an appointment today with one of our Doctors of Audiology to reach your full hearing potential at an unbeatable price. Audiology by Accent is Gainesville’s premiere audiology and hearing aid provider. Please call (352) 271-5373 to schedule your appointment with one of our Audiologists. Audiology by Accent has been doubly honored for its commitment to exceptional quality of services and products when the Clinic was awarded the prestigious ‘Best of the Best’ award sponsored by the Gainesville Sun. Audiology by Accent was voted by Gainesville residents Best Hearing Aid Center and Best Audiologist of 2018. “Thank you Gainesville for taking the time to vote and recognizing us as the Best Audiology Practice and Best Hearing Aid Center for the second year in a row. We love what we do and it’s an honor to serve you!” said Ryan Baker, Au.D at Audiology by Accent. Hearing loss, also known as hearing impairment related to aging ranks as the #1 communicative disorder. 1 in 5 Americans have some degree of hearing loss; that equals 48.1M Americans. Of those 48.1 million, around 4.5 million (11%) are between the ages of 50-59. 40% of individuals over the age of 65 have some form of hearing impairment. By 80 years old, 85% of individuals report some degree of hearing impairment. Hearing loss is a major public health issue. It is the third most common physical condition after arthritis and heart disease. Hearing loss affects people of all ages – its progression is usually gradual but can be sudden depending on the cause. Hearing loss can range from mild to profound. 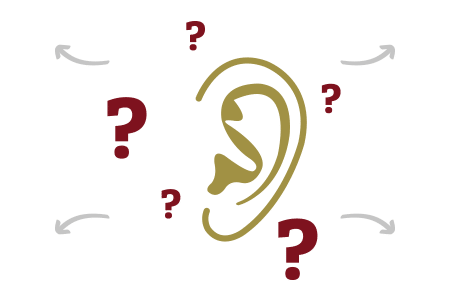 Hearing loss is often an invisible condition; one cannot easily identify those who suffer from it, and those who are affected often become withdrawn and isolated. They may also exhibit confusion, or personality changes. Conductive hearing loss happens when hearing loss is due to problems with the ear canal, ear drum, or middle ear and its little bones. Sensorineural hearing loss (SNHL), also known as nerve-related hearing loss, happens when hearing loss is due to problems of the inner ear. Mixed hearing loss refers to a combination of conductive and sensorineural hearing loss. Participating in a conversation with background noise requires intense effort. Difficulty understanding the TV or while using the phone. It seems that others are mumbling. Finding it hard to understand in meetings or at presentations. Even simple conversations can be very tiring for people with hearing loss. An individual with untreated hearing loss may not be able to effectively listen and communicate, which can lead to isolation. Hearing loss can be a tough ailment to identify. 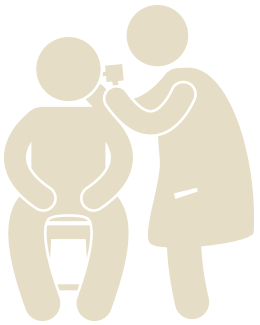 By paying close attention to these signs, as well as any other changes that you may notice or that family and friends report to you, you can be alert to the need for a professional hearing evaluation. Hearing loss can have many causes, but in most cases, hearing loss can be addressed successfully. Hearing impairment has many causes. Exposure to too much noise, certain medications, infections, head injuries, viruses, allergies, the aging process and specific medical conditions can damage the ear and lead to hearing loss. It’s important to understand the type of hearing loss in order to find the best solution. The solution to better hearing begins with a thorough hearing evaluation. Audiology by Accent is committed to providing personalized hearing health care. We use the latest research and technology to address your specific needs. We provide comprehensive audiologic services, state-of-the art digital hearing aids and, most importantly, an experienced and caring staff including nationally certified audiologists. In an effort to make hearing instruments more affordable and accessible to you, Audiology by Accent is pleased to offer our ‘Peace of Mind’ pricing structure. With this pricing, hearing instruments are available to our patients at the manufacturer’s wholesale cost. 1. We believe that educating patients leads to the best hearing results. 2. Our experience gives you the expert care you deserve. 3. Our detailed and comprehensive audiometric testing means we can address the nature of your hearing loss. 4. We only recommend innovative hearing aids that help people hear better. 5. We use the most advanced fitting methods available to ensure that your hearing devices are comfortable and provide you with maximum efficiency. 6. Our exceptional follow-up care means you always get an outstanding and personalized customer service. 7. We absolutely love what we do!